Hola VPN vs Hotspot Shield vs Hola VPN vs Hotspot Shield 2019 - 5 Tests, 1 Winner! After comparing these VPNs, we have a winner! Hotspot Shield and Hola go head-to-head in this match to find out who will be the winner. Hotspot Shield is a popular VPN provider known for its speed and reliability, as well as its Catapult Hydra protocol, which compresses data to improve connection speeds and performance. Hola is a smaller provider that operates in a unique way. Rather than hosting dedicated VPN servers, Hola is a peer-to-peer network that routes user traffic through nodes provided by other users. Although Hola claims this system improves anonymity, they have received criticism for failing to protect users from vulnerabilities and safety concerns on several occasions. On the other hand, Hola is easy to install and use, and can bypass some geoblocks on popular websites. Hotspot Shield offers a free version powered by ads as well as a paid subscription service. Hola is entirely free to use, but you have to pay for the premium service if you don’t want your server to be used as a node for other users. 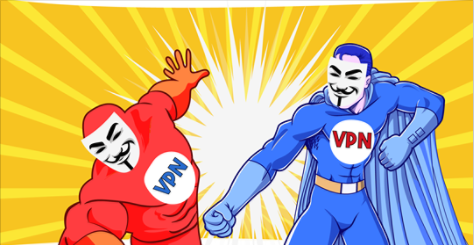 Read on to find out which VPN comes out on top category by category. Hola is one of the better-known names associated with VPNs. A product of the Israel-based Hola Networks Ltd. this service has amassed over 180 million users since its launch in 2012. Hola isn’t a traditional VPN by any means. It’s a freemium service, meaning you can use it without paying anything. That said, you can subscribe to the Plus package and benefit from some extra features. With over 2,500 servers in 25 countries, Hotspot Shield Elite is a fast and reliable service that gives users access to a selection of well-encrypted IP addresses. This service has proven to be one of the most effectual at hiding data, drastically reducing the risk of interception by employing 128-bit AES and 256-bit AES encryption. Used it for a Month - Perfect I've been using hotspot shield for about a month now. Very easy to connect and speed is amazing, Doesn't slow down any of my streaming, I used different vpns in the past and they all slowed down my internet speed. Hotspot Shield is a well-known VPN provider owned by the large online security company, Anchor Free. In comparison with the relatively smaller Hola VPN, Hotspot Shield has more features, and uses a more advanced level of security and privacy. It is however important to note that this provider keeps partial logs. In order to take best advantage of its fast speeds, good prices, and solid encryption make sure you check out their great coupon deals which are available only for a limited amount of time. Best VPNs for Torrents Even though both Hotspot Shield and Hola VPN support torrenting, there have been some major privacy concerns with Hola VPN, which means it can be risky to use it for torrenting. Even though both Hotspot Shield and Hola VPN support torrenting, there have been some major privacy concerns with Hola VPN, which means it can be risky to use it for torrenting. Best VPNs for Windows Hotspot Shield offers a user-friendly Windows app that’s more efficient, secure, and feature-rich than Hola VPN’s proxy extension. In addition, in terms of privacy, Hotspot Shield is more reliable than Hola VPN. Hotspot Shield offers a user-friendly Windows app that’s more efficient, secure, and feature-rich than Hola VPN’s proxy extension. In addition, in terms of privacy, Hotspot Shield is more reliable than Hola VPN. Best VPNs for Android Hotspot Shield has a full-on Android app with all the security and privacy features you would need in a VPN which is easy to download, install, and use. Hola VPN relies on a peer-to-peer sharing system for its Android app, which means users' resources are shared among them. This doesn’t sound very privacy-friendly. Hotspot Shield has a full-on Android app with all the security and privacy features you would need in a VPN which is easy to download, install, and use. Hola VPN relies on a peer-to-peer sharing system for its Android app, which means users' resources are shared among them. This doesn’t sound very privacy-friendly. Best VPNs for Mac Hotspot Shield's MacOS app is as reliable as its Windows and Android apps, with all the useful features you could need from a reliable VPN. If you want to use Hola VPN on MacOS, you can only use its browser extension, which is very limited compared to a full-on VPN app. Hotspot Shield's MacOS app is as reliable as its Windows and Android apps, with all the useful features you could need from a reliable VPN. If you want to use Hola VPN on MacOS, you can only use its browser extension, which is very limited compared to a full-on VPN app. Best VPNs for iOS Hola's an iOS app offers the option to subscribe for the premium paid service from within the app directly, but this app still has the same privacy issues as its apps for other platforms. Hotspot Shield offers a very reliable iOS app with access to all its features and the ability to connect to any of the servers in the Hotspot Shield network. Hola's an iOS app offers the option to subscribe for the premium paid service from within the app directly, but this app still has the same privacy issues as its apps for other platforms. Hotspot Shield offers a very reliable iOS app with access to all its features and the ability to connect to any of the servers in the Hotspot Shield network. Best VPNs for USA Both Hola VPN and Hotspot Shield have servers in the US. However, Hotspot Shield is capable of bypassing geoblocks to access popular streaming services including Netflix US, whereas Hola VPN can’t. Both Hola VPN and Hotspot Shield have servers in the US. However, Hotspot Shield is capable of bypassing geoblocks to access popular streaming services including Netflix US, whereas Hola VPN can’t. Hotspot Shield is basically a simple, no frills VPN service. For the most part, the free version will get the job done, but those who want more server options and access to streaming services will need to upgrade to the paid version. I've been using hotspot shield for about a month now. Very easy to connect and speed is amazing, Doesn't slow down any of my streaming, I used different vpns in the past and they all slowed down my internet speed.